Bitangad is located at the border of Nashik and Ahmednagar districts, a bit interior to the Ghoti � Bhandardara road. 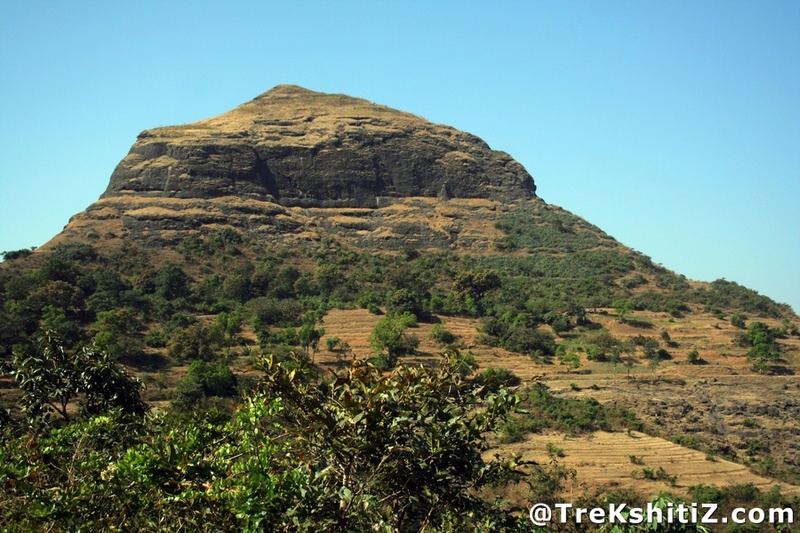 It is a part of the Kalsubai range, and is near to Aundha, Patta, Aad and Mhasoba. To the southwest of this fort are Kalsubai, Alang, Madan and Kulang. Since the mountain cap has scarce area, this mountain was fortified only to function as a watch tower. Hence there are very few remnants on the fort. However, this is a good place to hike and stay overnight as it offers scenic views from the top. The base village of this fort is Bitangwadi, which is quite interior to the main road. Ghoti town is located on NH3 about 30 km east of Igatpuri, a known place on Mumbai � Nashik route. From Ghoti toll, proceed towards Bhandardara. At about 19 km, we need to take diversion at Taked Phata. From Taked, we have to reach the Ekdara village diversion at 11 km and take the road to Bitanwadi which is 6 km away from the diversion. From Bitangwadi, the trail to the fort comprises quite steep rock cut steps and a rope might be useful. Avoid trek in monsoon as the steps become slippery. Accommodation is not available on the fort, but available in Bitangwadi or in Taked in the temple of �Jatayu�. 2-4 days day trek can be planned to visit Aundha, Patta, and Bitangad forts. A private vehicle is preferable.